You see, Comerfords had their own competition department and I think they had some connections with the ACU. They quietly told the ACU that they knew a Finnish guy who was contemplating moving to the UK and explained the situation then I signed the deal with Comerfords and explained to them that if I don't get the licence this is not going to be my fault because it's not in my hands and Mr Comerford said ok, we understand, this is the risk we are willing to take. 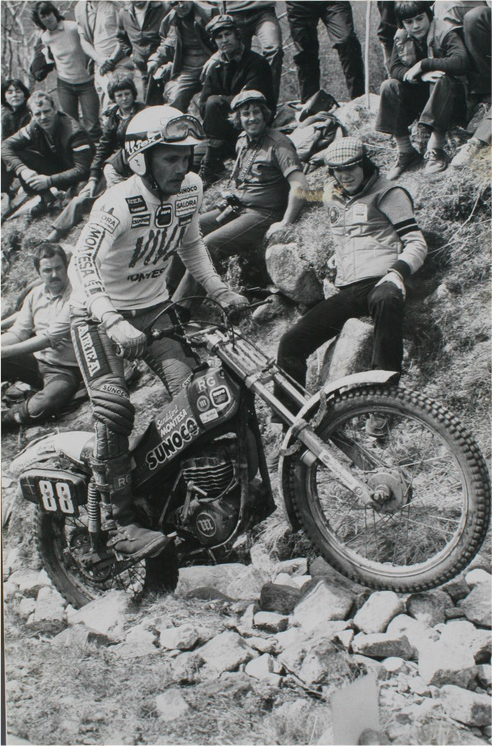 I then moved to live in England and submitted my licence application, at that point it leaked out that Vesty was applying for a British licence and then suddenly the press were kicking up a bit of fast and some of the riders started saying all this is not fair he's not British, it then went to the ACU trials committee and the trials committee said do we have any grounds to say no, they read through the entire ACU handbook and they said well, there is nothing said here so we cannot stop him. You know he is living in England now, so we cannot stop him and they issue the licence then the press kicked up even more of a fuss. I think it was friendly fuss in that they just tried to sensationalize the story to try and sell more papers as it was an interesting story in itself and they went round to a number of other riders and for instance asked Malcolm Rathmell what do you think and John Reynolds what do you think, Martin Lampkin what do you think of this. Oh I think this is unfair, he's not British. I think we should protect their own interests and making a living here is hard enough as it is and that sort of thing, anyway nevertheless, I had a licence from that point on. They could not issue me an FIM licence. At this time I was third in the World and I just won the Scottish six days trial so I will surely qualify for an international licence, so I did get this and the rest is history. 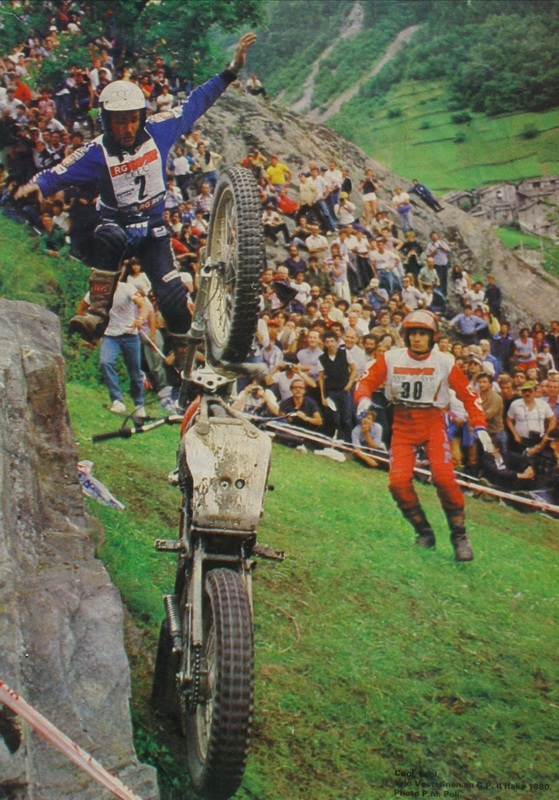 Vrjo Vesterinen coming a cropper at one of the difficult Valmalenco steps on the grassy hillside overlooking this skiing resort. Dressed in red is Vesty's friend from the same village back in Finland. 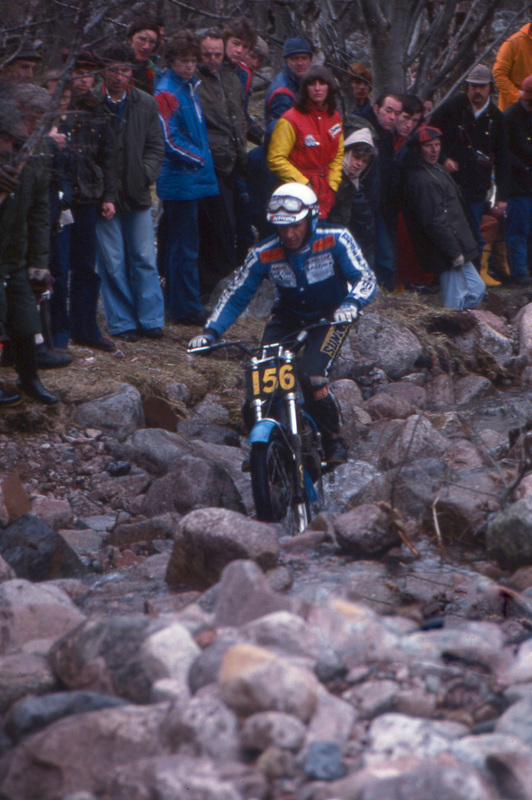 In 1983, when I was riding the British championship, hours riding against Martin Lampkin, Malcolm Rathmell and John Reynolds, I guess they were my main rivals at that time, I won five of the first rounds. It was a good start for the year. The others were trying to play the catch up game and I more or less demolished the opposition. I only rode the British championship in 1982. I did ride some rounds in 1983, but not everything. And how are you getting on in the World championship at this time? It wasn't going that well. I guess I finish 9th in the world or something, I don't remember exactly, but I was already on a downhill. What was that downhill and where did that come from? Were you just getting sick and tired of the whole game or other riders just beating you fair and square? What are the problems that I have to deal with from about 1975, I had a fairly big crash when I was practicing with Charles and I hurt my back and the back was hurting me all along. I was having physio all of the time and wearing a body belt, the trouble with my back was getting worse and worse, to the level that I would have needed an operation. This was 1 serious problem and the other 1 was not hungry enough anymore and I knew that this trouble with Bultaco was becoming terminal. Also, it was more difficult to find paying sponsors, so if I had to move and I have managed to get a ride with Fantic, or something, I would have needed to fund the riding myself and I wasn't really prepared to ride for nothing and if you think if you have been a world champion and you have gone from 75 – second, first, first, first, second, third, third and then suddenly 7th or uh I don't remember exactly but it wasn't a particularly good season. So it wasn't something you were particularly enjoying anymore? No, but I had set my sights on one thing and I wanted to win the British Championship. 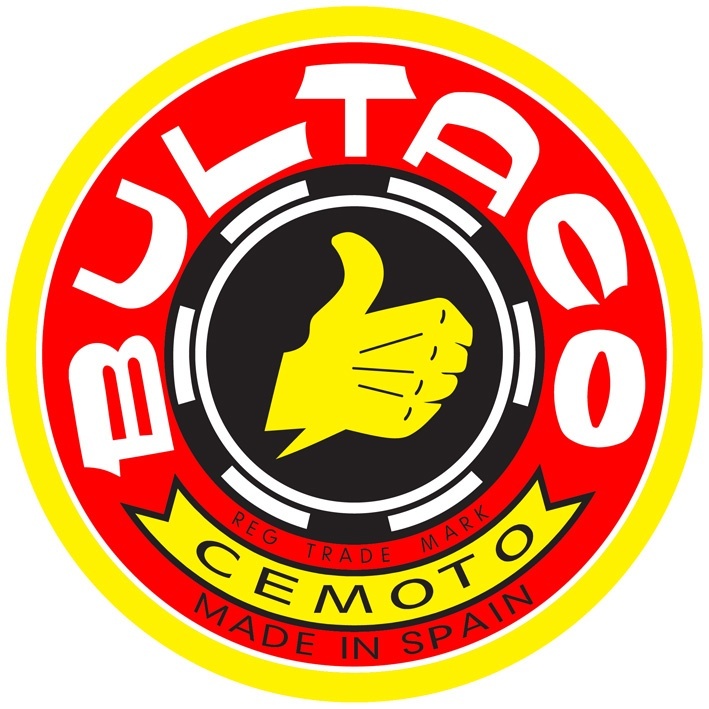 I was prepared to give whatever it took, that was my main aim and I remember Commerfords telling me that would be really really nice and good for them and that would show their customers Bultaco is definitely back. So that's what you did? You've already mentioned that you are very close with Charles Coultard, but who are the other guys that you mentioned you hang around with the most? Manuel Soler, Martin in Germany. I spent a fair bit of time with Ulf but I didn't really socialize a lot . Did you ever do any trials schools? Did you do any at Adrian Prato’s Happy trial School in Andon? No, but I did a few in the south of France and I get some in Denmark and in Finland. Yes, the places would contact me and asked me if I wanted to do it and often I would say yes. I did a number of trials schools with Charles Coultard in the place where he held the schools.